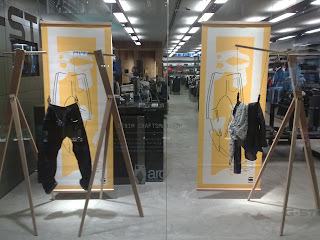 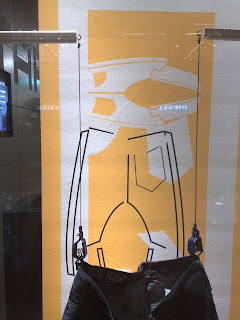 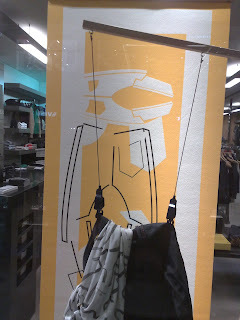 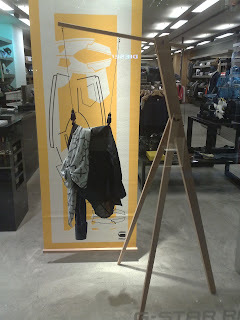 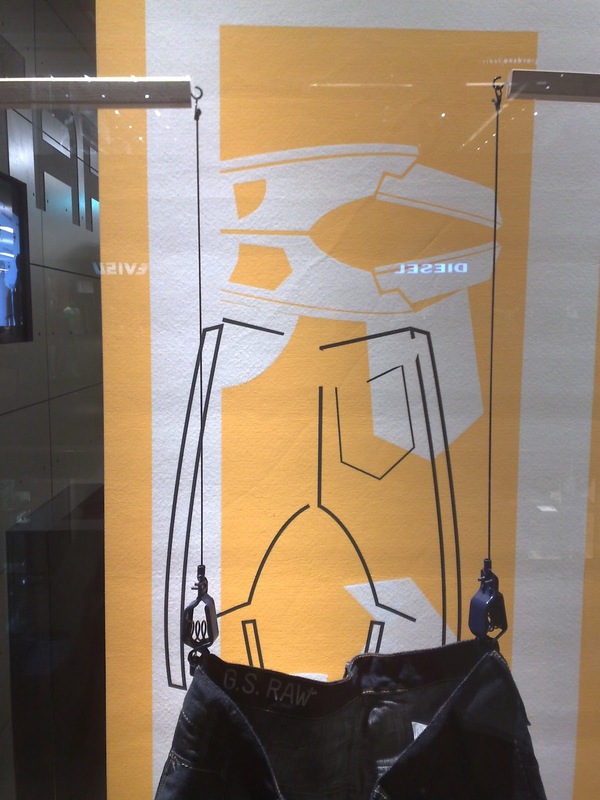 G-Star window display is equipped with construction tools that in this case works for denim pants. The tools are so simple with three wooden constructions hold the pants, and shirts. 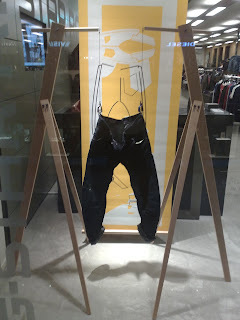 Nice style for out late jeans and also nice photos.